Keep reading -- there are no spoilers in this post! Have you caught the Downton Abbey craze? If you're in the U.S., have you been spending your Sunday nights this winter snuggled in front of PBS, watching each episode of season 3? For the uninitiated, here's a quick primer. Downton Abbey is a British TV show about an aristocratic family and the staff of their house, and the first seasons have taken us through World War I and the dawn of the 1920s. So, what does all this have to do with the profession of grants development in the 21st century? Allow me to explain the four principles that Downton Abbey teaches us about grant proposal writing. 1) Form has a function. Manners matter. Downton Abbey is a symphony of manners and formality -- all the more beautiful to watch because we have lost so much of these graces in our own culture. Just as in Downton Abbey, in fundraising, good manners make everyone more comfortable. From following the classic 5-page proposal format, to asking the right kind of questions in a meeting with a foundation program officer, your adherence to the rules of grantseeking will put you at the front of the pack. To start with, simply reading -- and then following -- the funder's guidelines sends the signal that you care about their standards. 2) The times, they are a-changin' -- and if your nonprofit doesn't keep pace with change, it will become irrelevant (and harder to fund). Though there are multiple characters and plots, the unifying theme of Downton Abbey is that the world is changing. Some people can adapt to the changes, while others can't keep up. This creates fascinating story lines and tension between characters that keep us watching. 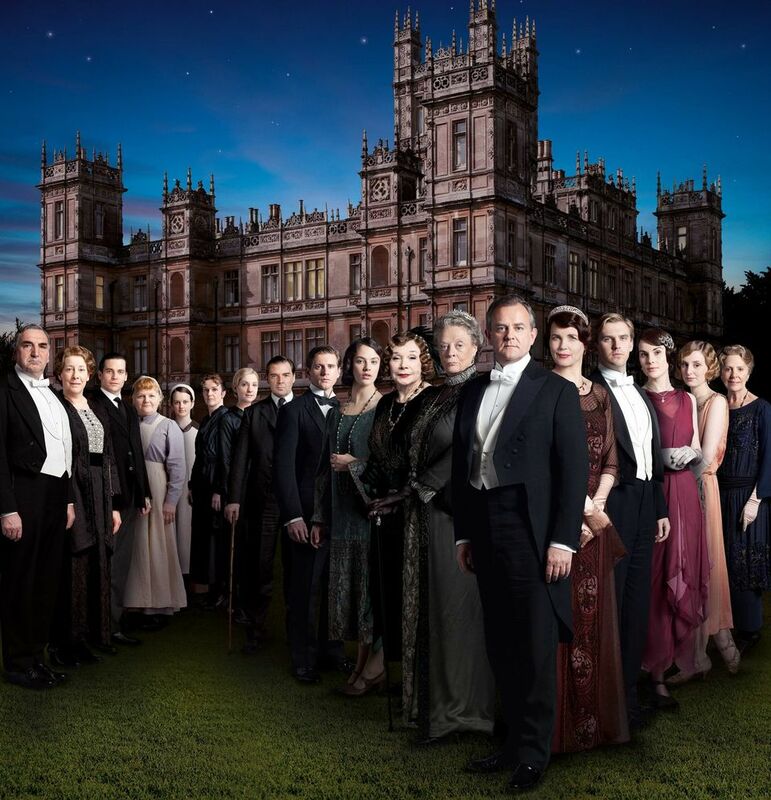 Downton Abbey has captured our collective attention because our world is changing rapidly too. Our technology, our ways of making money, and how we communicate have undergone extreme transformation over the past ten years and the changes keep coming. For success in grantseeking, your nonprofit needs to be able to demonstrate that it is enthusiastic about embracing change and making use of the best tools available. There are good reasons to embrace technological change -- efficiency and open-mindedness are virtues. There's also a financial reason to keep up with change: your funders will like you better. For grantmakers, investing in innovation is a very attractive thing. I love the concept of "appropriate technology" as applied to nonprofit operations. As our old friend Wikipedia explains it, appropriate technology is about choosing tools that are "small-scale, labor-intensive, energy-efficient, environmentally sound, locally controlled... and people-centered." Twitter is a great example of an appropriate technology for nonprofits.It's free, idea-driven, highly collaborative and transparent. When I research a nonprofit and notice that it's not on Twitter, I tend to think that it simply has less to say to the world. (And that's a negative.) The foundations that you're applying to are probably not on Twitter (though here's a list of funders who Tweet), but they want you to be. This week, I read an RFP that lists use of Twitter as a required deliverable. The requirement: "Create and maintain a Twitter account. Must have 100 followers within the first year and 200 within the second year. Must connect to thought leaders in the industry sector." Mind you, getting 200 followers on Twitter over two years is setting the bar pretty low. If you're regularly posting reasonably interesting content, then you'll get all the followers you need. Here are more ideas for appropriate technology to promote nonprofit efficiency. 3) Everything works out in the end. If it hasn't worked out yet, it is not the end. Mr. Bates still stuck in jail? Edith still looking for a way to contribute to the world? Mrs. Patmore still yelling at Daisy? It's all ultimately going to be OK, no matter what happens. In grantseeking, rejection can be painful, and discouraging. It takes many hours for a nonprofit to write a good grant proposal, but it seems that it can take just a few minutes for a funder to scan that proposal then send a form rejection letter. But sometimes, the first "no" is just the beginning. Some foundations and government funders (including the National Science Foundation for some of its programs) actively encourage multiple iterations of a proposal that it may turn down the first few times, with suggestions for refinements, before finally providing funding. So, "No, we won't give your nonprofit a grant" sometimes means, "Maybe we'll give your nonprofit a grant next year." Stay in touch and persevere. You may be funded in a future round. And keep in mind that sometimes, the best resolution you can hope for is to know, with certainty, that a foundation isn't going to fund your nonprofit, like, ever (to quote Taylor Swift). With that certainty, you can stop spending energy trying to cultivate this funder, and move on to greener pastures. 4) No organization is infalliable. In this season, we've been introduced to the idea that the estate of Downton Abbey may be suffering from mismanagement. Downton Abbey looks great from the outside, but what does the future hold? In the nonprofit world, 501c3s and funders alike are also vulnerable to mismanagement and mistakes. We see lots of publicity in the nonprofit press about organizations taking what is perceived as the wrong turn. The most striking example from 2012 is the Susan G. Komen Foundation fiasco. Even more interesting than the Komen case is the recent critique of the Public Welfare Foundation's change in funding guidelines has put their decisions in question as well. In this era of increasing need and increasing transparency for nonprofits, everything is subject to change. Your challenge is to be a thoughtful, informed citizen of your own nonprofit in order to roll with the punches and take brave action, when it is needed, within your own area of responsibility. And this gets us back to the second point -- the times, they are a-changin'. A holiday story starring a grant proposal writer! Nora Gallagher, a nonprofit grant writer, has been having a very bad day. She got rejected for a grant, her boss yelled at her and her long-time boyfriend informed he would not be spending Christmas with her. Are you hooked yet? Thanks, WHYY, for honoring the profession of grant proposal writers in such a nice way! Nothing was handed to Helen Gurley Brown. She held 17 secretarial jobs before becoming an advertising copywriter, an author, and eventually, a high-profile magazine editor. As she wrote in the introduction to her first book, "I grew up in a small town. I didn't go to college. My family was, and is, desperately poor, and I have always helped support them. I'm an introvert, and I'm sometimes mean and cranky." Helen Gurley Brown made up a word to describe women like herself: mouseburgers. As explained by her biographer Jennifer Scanlon, "Many of the legion of articles published on Helen Gurley Brown refer to her as a 'mouseburger,' a term she invented to describe a young woman of average looks, with some intelligence, more likely working in a job than pursuing a career. The mouseburger receives little assistance in making her way through life but doggedly perseveres. The mouseburger demonstrates characteristics that bode well for success: an instinctive drive, a willingness to work hard at any task, and a determination to support herself and attain independence." At heart, Helen Gurley Brown was motivated by women's need for economic freedom. As NPR notes, "she told her readers constantly that the way to get what you want from life is not through your man, but through your work." Given that she seems to have things figured out, I got to wondering what Helen Gurley Brown would tell a grantwriter to do. 1. Write grant proposals in plain, direct language. Helen Gurley Brown was a great writer. She wrote clear, catchy prose that made her target audience feel that she was speaking to them directly and that she understood what they cared about. You can do the same in grant proposals -- if you remember that there is a real person behind the foundation's door. As Pamela Grow (a fundraising expert and top-notch trainer, who previously worked at a foundation for seven years) recently emailed me, "I come from the foundation world myself. It's amazing how dry, didactic and lifeless 90 percent of the proposals that come in are." I know that there's a lot of pressure from your nonprofit peers to use acronyms and technical terms -- but please don't write proposals using words that can only be understood by the people who work in your organization or field. Foundations themselves helped to drive us towards ever more jargon-laden language, but they are also calling for relief. Check out these resources from the Edna McConnell Clark Foundation for some pointers towards how to write in "plain language." Also, be sure to read the classic Elements of Style by Strunk and White, which Gurley Brown routinely gave to her Cosmopolitan writers. 2. Enjoy your job -- and if you don't like the organization you're working for, switch to a different nonprofit. Helen Gurley Brown believed that work is the fundamental road to self-identity. "A job can be your love, your happy pill, your means of finding out who you are and what you can do, your playpen, your family, your entree to a good social life... the most reliable escape from loneliness and your means of participating," she said. Moreover, she instructed, "a job is where you have to be at a certain time, where people are depending on you to do certain things -- it's great discipline and it gets you out of you." Although a strong believer that work can be the single best way to get a life, she was not a doormat. In her earlier working years, Gurley Brown job-hopped often, leaving organizations that weren't paying her enough or didn't provide interesting enough tasks. If you live in a community with a robust nonprofit sector, and you're a good grantwriter, then there are many professional possibilities open to you. Helen Gurley Brown would definitely counsel that you shouldn't let your career stagnate by staying at an organization that no longer resonates with you. 3. Work harder than anyone else does. Reflecting on Gurley Brown, biographer Scanlon writes, "she believed above all in work -- hard work. She urged all women, whether they worked as secretaries, flight attendants, or corporate executives, to consider themselves professionals and to set professional goals. After all, as she stated repeatedly in one way or another, 'Nothing is as much fun as achieving.'" The best fundraisers spend hours getting a grant proposal right -- from researching the foundation's interests to creating a coherent and compelling proposal, project budget and support documents. As competition for grant dollars gets ever more intense, the quality of your proposals matters greatly. Furthermore, as you do all this hard work, be mindful of where it can take you. As Scanlon writes, "Helen Gurley Brown, having herself moved from secretary to executive secretary to copywriter, wanted her readers to know that job or career advancement was available to women in all sorts of occupations." Career ladder jobs for grant proposal writers include Development Director, Executive Director or consultant. From grantwriting, you can also move into marketing and program management. To learn more, check out Caroline Reeder's grant development career information. 4. Get thee to therapy. Helen Gurley Brown was an early adopter of self-help resources, including psychotherapy. Her childhood was difficult (her father died in an elevator accident when she was still in elementary school; as a teenager, her sister became permanently paralyzed due to contracting polio; and her mother was "terminally sad.") Therapy helped Gurley Brown to understand how her past impacted and informed her current actions, and how to feel better about her life. Not many people talk about this, but nonprofits can be deeply dysfunctional, in part because they can be a high-stress place to work, and in part because they attract a lot of codependent people as staff. (In other words, as Woodie Guthrie sang, "Maybe if I hadn't seen so much hard feelings, I might not could've felt other people's"). Mazarine Treyz and Dan Pallotta have blogged in this rich vein recently. Probably a lot of people that you work with could use therapy. Maybe you're one of them. I'm going to write more about the need for an emotionally healthy approach to working in nonprofit fundraising in upcoming months, by the way. All Helen Gurley Brown quotes in this post are from Bad Girls Go Everywhere: The Life of Helen Gurley Brown by Jennifer Scanlon. Scanlon is a Professor of Gender and Women's Studies at Bowdoin College. It strikes me that the "mouseburger" roots and career trajectory of Mad Men's Peggy Olson is lifted almost directly from Helen Gurley Brown's days as an advertising copywriter. Does this mean that Peggy is going to get a great new job in Season 6?